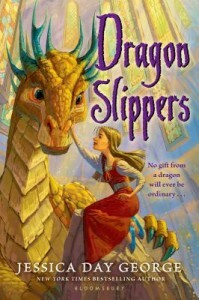 There’s definitely a contemporary genre that this children’s book falls into – young girls unafraid of keeping company with dragons. Think Dealing with Dragons and others. You either like the genre or you don’t. If you do, this children’s book is a worthy addition. It has humor, adventure, friendship, and battles. It’s got a little bit of everything, and yet nothing is too serious. In some ways, the book is somewhat superficial, as it streams through the ups and downs of the dragon and human relationship. And yet, it is well written, creative, and a good book for kids who want to lose themselves in a little fantasy. I appreciate that there are no disturbing scenes, or anything to upset an innocent reader. Even though there are some fire-scorching events, they are lightly mentioned and then we move on. In that sense, being a superficial book actually works in our favor. The book gives children enough excitement without filling their minds with difficult images. To me, that creates a successful adventure in a children’s book. There were a few surprises at the end of the story that I particularly liked. One could argue they were so surprising they were forced, but I don’t agree. It’s a writer’s author to make up the story, and in this way, a children’s book can be quite satisfying, as it doesn’t have to follow any rule. I read this book during summer vacation, which is perfect for a children’s book like this.